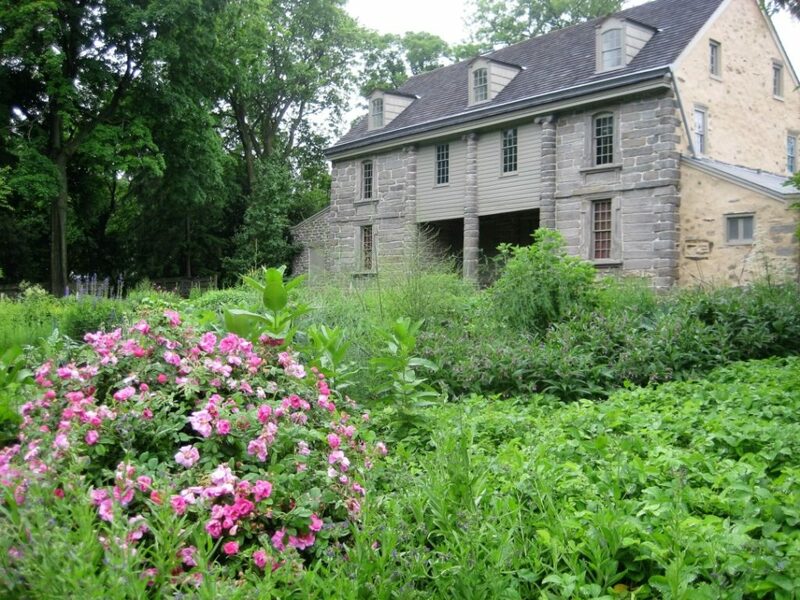 In 1728, John Bartram created a garden. It’s now the oldest surviving botanic garden in America. 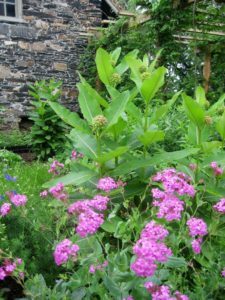 It’s filled with beautiful plants from around the world but features native trees and wildflowers. 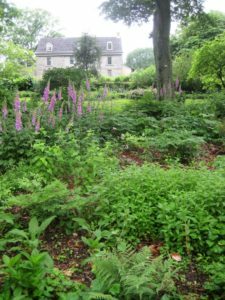 Throughout John Bartram’s long life he was absolutely fascinated by plants. Even as a boy, he frequently played hooky from the family farm, and would run off to the woods and revel in ferns, mosses and wildflowers. As he grew up, John Bartram appeared to be just another industrious Quaker farmer. He plowed and harvested his fields, attended worship services, eventually married and raised nine children. But he still had that odd habit of occasionally wandering off to the woods and collecting wild seeds to grow in his garden. He turned his passion into a very successful business, shipping seeds and plants across New England and off to Europe. His customers included King George III of England and Carolus Linnaeus. Some impressive Americans patronized him, too, including Benjamin Franklin, George Washington and Thomas Jefferson. Bartram had many mouths to feed—raising nine children can be expensive—and the money brought in by his plant business was surely welcome. But money alone can’t explain the enthusiasm with which he collected American plants. “The Botanick fire set me in such a flame as is not to be quenched untill death,” wrote this quiet and mild-mannered Quaker. He travelled hundreds of miles on horseback, into unmapped wilderness, the domain of wolves and bears. Almost always travelling alone, he climbed mountains, waded rivers, and explored the roadless territories of Indian tribes. Bartram often referred to himself as a fearful man—he was particularly scornful of his own dread of lightning. But in spite of its dangers, the wilds lured him still. Even as he aged, he continued his travels, wandering all along the eastern seaboard, still drawn to the wilderness as though to a lover. The primly-dressed Quaker was particularly adept, all his long life, at climbing trees. This was an indispensable skill for a seed-collector, as many seeds ripen attached to high branches and vines, waiting for birds or squirrels to eat and so disperse them. 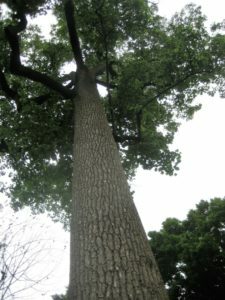 For his business, Bartram needed seeds in such quantities that he couldn’t just collect the few handfuls that fell to the forest floor. But he rarely resorted to the vandalism of cutting down a tree to get its fruit. At the age of sixty-two, he scaled a huge old holly tree to gather the scarlet berries (leaving his twelve-year-old son at the bottom, holding a collecting bag.) When a branch broke, Bartram fell out of the tree and injured himself severely, probably fracturing several ribs. But nothing could discourage his quest for unusual plants. He especially loved nature’s oddities. As well as gathering bushels of pine cones and acorns, he spent time much time and energy ferreting out the unusual. The carnivorous Venus-flytrap plant was one of his most popular finds. He was fascinated by rattlesnakes, and deplored the habit of killing them whenever they were found. On one occasion, while travelling with a guide, Bartram pleaded (in vain) for the life of a particularly large and beautiful rattler they had encountered, even though he had narrowly escaped being bitten. To read more about the amazing John Bartram check out my book In Praise of Poison Ivy.